Getting more information out of your data. 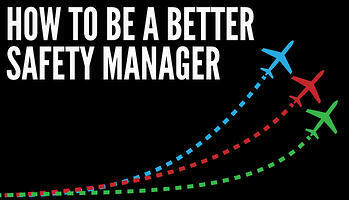 Here are some simple ways to be a better aviation safety manager. Being aware of your safety management style is a great way to improve your approach to managing your SMS. Socrates believed that humans do foolish things when they attempt to understand obscure and complex things before knowing themselves. Being aware of your safety management style gives you an opportunity to tweak your management style to better fit the needs of your safety program. Sometimes, improving your ability as an aviation safety manager simply means gathering some new tools and resources that will better help you manage your SMS. For a full list of free resources and free safety tools, follow the link. Automating workflows to keep the SMS on track. In short, low-cost, commercially available software is a sound investment. If you are using spreadsheets and paper to manage your aviation SMS, this is an accident waiting to happen. That is why EASA no longer allows spreadsheets to be the primary technology to store hazard reporting data. Safety Promotion is an area of SMS that countless managers don’t pay as much attention to as they should. Many programs barely put in any effort towards promoting the SMS. Beyond the obligatory safety poster, there is no further effort to promote safety. Alternatively, if there are some safety promotion activities happening at the company, there is no supporting documentation, or the documentation left on the laptop of the last safety manager who recently left the company. In this latter case, a web-based SMS database would have mitigated that risk. Not producing safety promotion materials is a lost opportunity because Safety Promotion is one of the best ways, if not the best way, to improve safety performance. This is because there is an intimate link between safety promotion and safety culture. Even if your safety culture is great now, if you don’t continue to promote your safety program, you can count on a deterioration of safety performance within a couple of years. We see this pattern over and over. Simply talking to staff and front-line employees. Improve significantly improve hazard reporting cultures. 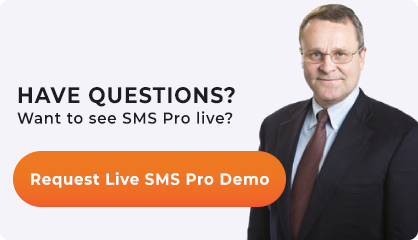 Many safety professionals don’t have a clear definition of various SMS concepts. Misunderstanding safety concepts can lead to less than ideal safety analysis, and then to less than ideal safety decisions as well. The following article is a great resource which covers many safety management definitions. Safety managers who can speak the "SMS talk" appear more credible to both line employees and management. Consequently, these safety managers "earn" more power and are in a better position to positively influence outcomes. I'm not saying to fill your discussions with boring, technical terms, but take the time to break down and explain the logic behind your company's risk management processes. Safety managers will not be able to effectively teach SMS concepts to employees and managers unless they are intimately familiar with the subject matter. Educate yourself! This will not be wasted effort. Even if you believe your current management doesn't value your SMS expertise, you can use these skills and risk management knowledge at your next job. Who Congratulates the Safety Manager? Being a safety manager is not all fun and glory. Young, mission focused employees naturally look suspiciously at safety managers. They don't see the value of having a person simply walk around and appear to only "look at things." Upper level management also are critical of safety managers in that the old school managers don't see how safety managers contribute to the bottom line. Working in an environment where safety manager's contributions are not valued adds stress to the safety manager. Safety managers are conscientious, hard working employees who want to sincerely make a difference in the organization. When they are not appreciated, the performance of the SMS will suffer and safety managers become apathetic toward safety. This turns into a self-fulfilling prophesy for the employees who believe the SMS adds no value. Implementing an aviation SMS is a marathon, not a sprint. There are so very many activities that safety managers perform that are not evident to other employees and management. In short, people cannot easily see the effects of your contributions. Don't expect people to come up to you and say, "Good job, safety manager. You kept us safe today." What you can expect is criticism when audit findings hit the accountable executive's desk or a preventable accident occurs. That is when most people notice the safety manager. Knowing this and expecting this normal behavior will make you a better safety manager. You will also experience less stress and hopefully become more effective. An SMS requires considerable documentation. This is a sad fact of life. Sorry. If it isn't documented, it didn't happen. This is a lot of work. If other employees realized the documentation workload faced by safety managers, they would look at safety managers in a different light. Documentation can be brutal, and documentation is perhaps the biggest challenge of safety managers. Safety managers need appropriate tools to do their job. Spreadsheets are the wrong technology to manage all the documentation requirements listed above. An SMS database will be required. Short and simple. Safety managers are only as good as the tools they use. If you don't use professional tools, there is little chance of survival for the SMS. The easiest way to become a better safety manager is to make sure you are using the proper tools for the job and that you are trained in how to maximize the utility from these SMS database tools. After all, you would not want to use a knife to cut down a 200 foot tall tree. If you don't have the proper tools, we can help. We have worked with hundreds of aviation service providers who have experienced the same pain as you. Don't wait. Become a better safety manager today.